Leading the way in Kinesiology and Energy Medicine, we have crafted a qualification that will enable you to be at the top of your field as a kinesiologist. Foundation & Diploma level courses available. 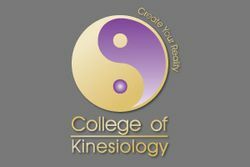 This course forms the beginning of the Diploma of Kinesiology and allows you to receive credits if you decide to go further. The Short Course is non-accredited as a stand alone training, but forms a component of the fully accredited Diploma of Kinesiology HLT52415.